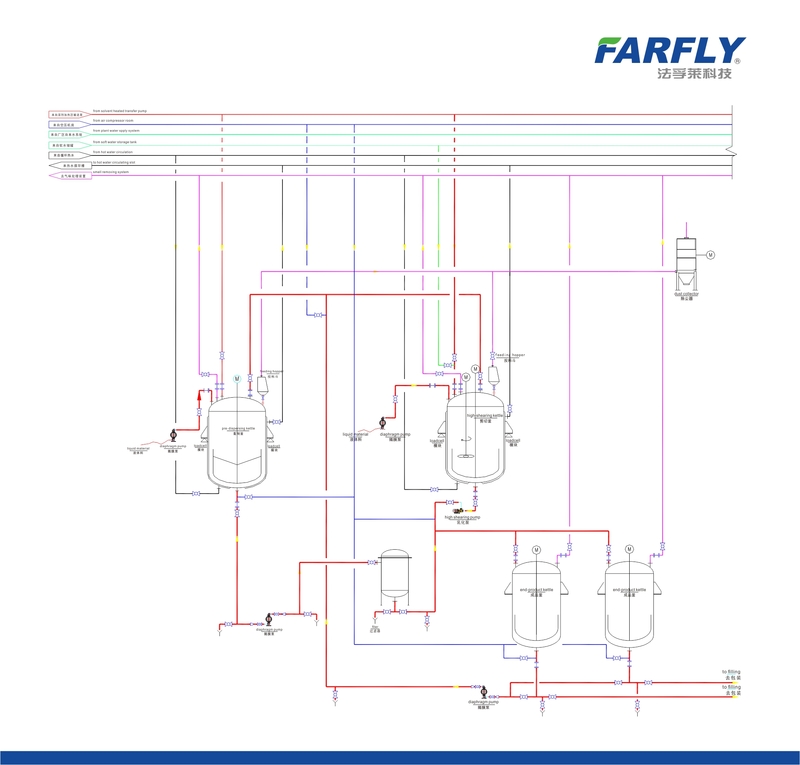 Quality Vacuum Dispersing Machine Manufacturer | JIANGSU FARFLY MACHINERY MANUFACTURING CO.LTD. Suitable for middle-scale or large-scale production.Designing yearly output is 15000-100000Ton. 1. Oil based reactor: It’s a jacketed stainless steel mixture reactor, with low speed mixer, motor, speed changer on it. The mixer paddle usual made into anchor and mixing speed is 65rpm. 2. Water based reactor: It’s a jacketed stainless steel high shear reactor, with low speed mixer and high shearing machine on it. Normally the mixer speed is 50rpm, shearing speed is 0~1450rpm. 3. Emulsifying high-shearing pump: speed 0~2900rpm, SS material. 4. Filter: bag filter, SS material. 5. Storage tank: Low speed mixer with anchor paddle, mixing speed is 50rpm and normally has two tanks alternate use, stainless steel material. 6. 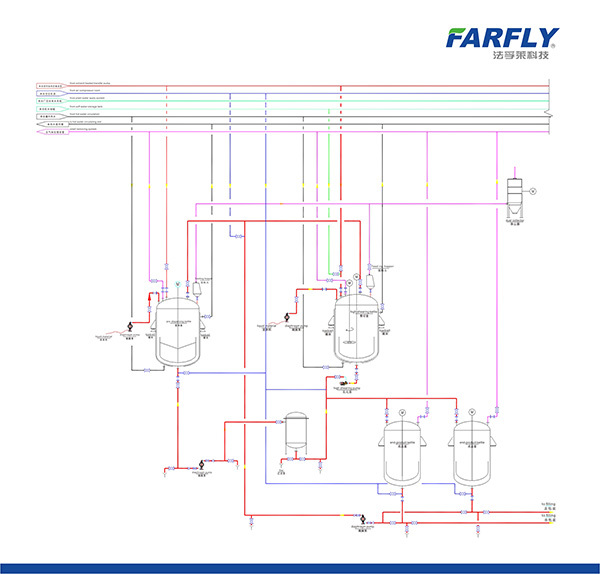 Filling line: As customer’s need, automatic and semi-automatic can be chosen..